Shawn Chen (Taiwan) is back by popular demand, running individual and group latte art masterclasses (advanced level). Shawn is the founder of Shawn Coffee and the former head instructor at Milkglider, which was awarded first place at the 2015 & 2016 Coffee Fest Tokyo World Latte Art Championships. Shawn has previously run masterclasses with Bettr Barista in May 2017, June and November 2018. Coffee power duo, Trish Rothgeb and Nick Cho (the man responsible for the Kickstarter hit December Dripper) shared the expertise in various classes and workshops, including some top-notch insights about brewing. From modulating the flavour profile of coffee to understanding and controlling heat transfer in roasting, Rob shares his expertise with us, always with updated and new content that delights our alumni as well as newcomers to his classes. Caleb conducted a number of exclusive classes over 2 days with us, sharing tips and tricks for latte art perfection - for beginners and seasoned baristas alike. 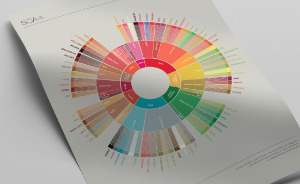 The Coffee Quality Institute's Trish Rothgeb, took us through one of the most iconic resources in the coffee industry, the Specialty Coffee Association of America’s Coffee Taster’s Flavour Wheel, which has been updated for the first time in its 21-year history. Joseph Rivera, creator of the first and only Coffee Science Certificate program for the specialty coffee industry, led this full-day seminar for industry professionals looking to grow their technical knowledge of coffee.